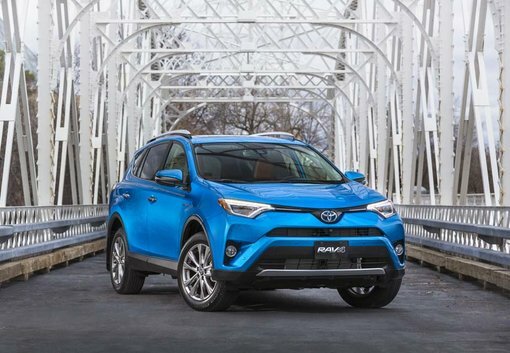 Two Toyota models were recognized for their fuel efficiency this week as the 2017 Toyota Prius and 2017 Toyota RAV4 Hybrid were named the Canadian Green Vehicles of the Year by the Automobile Journalists Association of Canada. Toyota's two new hybrid vehicles stood out during a week of intensive testing that took place last October. That’s where AJAC journalists were able to test a series of vehicles competing for the prestigious titles aimed at recognizing the models that stand out in their segments but also in the industry for their efficiency, fuel economy and green technologies. 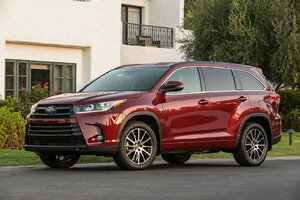 The 2017 Toyota Prius came out ahead of the Chevrolet Malibu Hybrid and the Kia Optima Hybrid while the 2017 Toyota RAV4 Hybrid finished ahead of the Mazda CX-9 and the Subaru Forester. "Our panel of 60-plus voting journalists sequentially drives every vehicle in a testing category, and their scoring is combined with objective data like cargo space, braking test figures and emissions. Scores are weighted for relevance to the vehicle category in question," says CCOTY Co-Chair Justin Pritchard. "Our Canadian Green Car of the Year and Canadian Green Utility Vehicle of the Year entries are selected from amongst standard entries that meet specific fuel efficiency criteria. Our voting panel casts a separate ballot for these models, focusing on Green characteristics including range, recharge/refuel time and price. That's combined with the overall CCOTY score—that is—how the vehicle stacks up to its competition. Today, Green cars come in many shapes and sizes, and this testing process ensures we take that into consideration". Fully redesigned this year, the 2017 Toyota Prius is priced from $ 27,190 and features Toyota Safety Sense active safety technologies out of the gate. 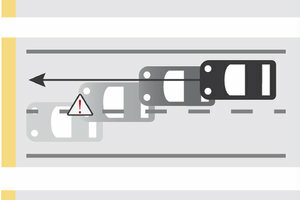 These features are designed to keep you safe by preventing accidents. They include a pre-collision system with pedestrian detection, automatic headlights, lane-departure warning, and radar-based dynamic cruise control. In terms of fuel-efficiency, the new Prius’ hybrid engine has an average fuel consumption rating of only 4.4 liters per 100 kilometers in the city. 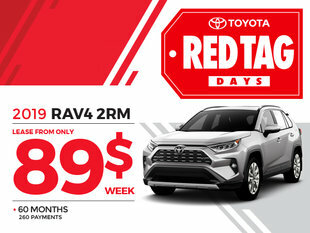 The RAV4 Hybrid is available starting at $ 34,455 and also offers all Toyota Safety Sense P safety technologies. Its hybrid engine develops 194 horsepower and its average fuel consumption is only 6.9 liters per 100 kilometers in the city. Discover the new 2017 Toyota Prius and the new Toyota RAV4 Hybrid today at Vimont Toyota in Laval!